Walnuts kernels and whole walnuts on wooden background. 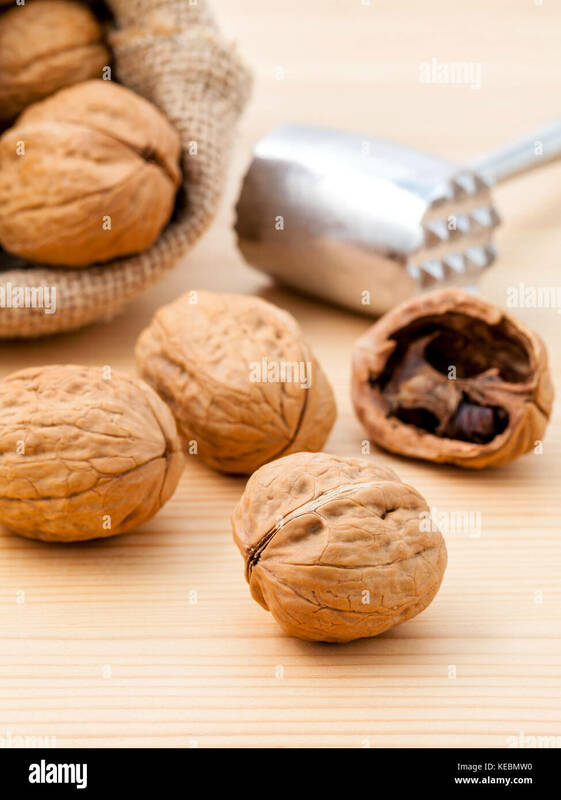 Whole and chopped walnuts on wooden background. Walnuts kernels and nutcracker. Selective focus depth of field.